Volunteer drivers are often the life blood of local communities, working to support charities and community groups they help people who are isolated and without private transport to access support and activities. Often without the support of volunteer drivers people would be unable to get out of their homes and would lose social contact with their community and friends entirely. 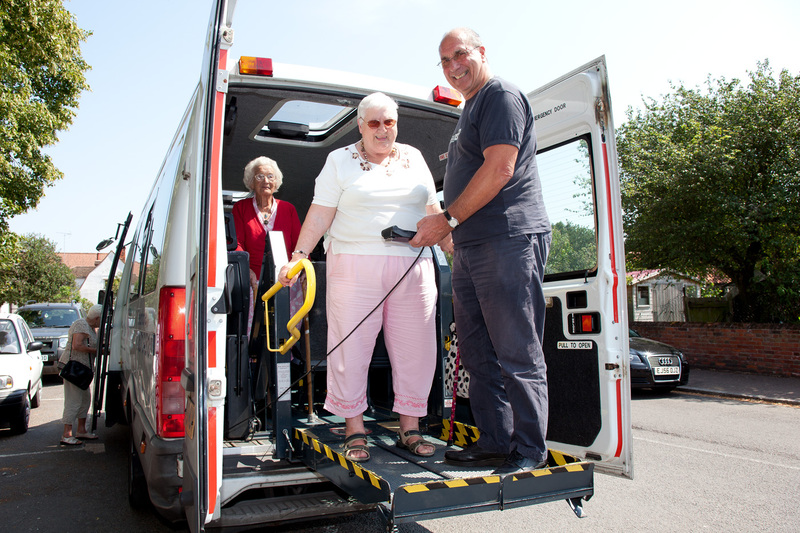 Many community groups use volunteer drivers, either using their own cars or using minibuses, but many utilize the support of Community Transport schemes. Community Transport schemes come in many shapes and sizes, they can be run through a local authority, set up as an independent charity or operated as a project of a larger charity. Whatever the set up the aim is always the same, to provide affordable transport to people who are unable to use private or public transport to get out and about. I get a lot of satisfaction and I also get a good feeling that I have helped people that are worse off than me. Plus I enjoy their company. Volunteer drivers are needed all over Essex, all you usually need is a clean driving licence, if you are interested in driving a minibus then you may also need a D1 on your licence (issued as standard prior to 1998). Depending on the role there may be upper and/or lower age limits (usually for insurance reasons). if using your own car mileage is usually reimbursed so you shouldn’t be out of pocket. If you think that driving could be for you – find out about local roles by selecting driving in a search on this site or contact your local Volunteer Centre to discuss further. I’d like to help. Saw an advert in this week’s Chronicle. I already drive for MENCAP. That’s great to hear, whereabouts in Essex are you, let me know and i can give you the contact name for your local coordinator who will be able to find something in your local area! Please contact Harlow Volunteer Centre who may be able to offer some suggestions.